On October 8, 2018, I will be sending out a private e-mail to everyone who has ordered online courses from me in the past, gotten readings from me, or ordered the day planner. Basically, clientele. As a thank you for your patronage and support over the years, you will get the first window of opportunity to place your pre-orders. Details will be sent to you by that private e-mail. However, delivery of your decks won’t happen until after the receipt of the decks by those attending my October 18 event. See next paragraph. October 18, 2018 is a dinner and talk I’m doing ahead of the UK Tarot Conference, called “Tarot, the I Ching, and the Six Formulas of God and Magic.” Those attending that dinner and talk have already been sent pre-order information for delivery of the decks at the event. James and I are only bringing around 40 decks with us (basically, what will fit in our spare luggage space) and all of them are by pre-order only, so we aren’t actually selling at the Conference. This small group of folks will be the very, very first to physically receive copies of the deck. Since I’ll be out of the country for the UK Tarot Conference in London, and then after that, headed to Prague, Vienna, Athens, and Istanbul in that order, neither James nor I would be able to handle intake of any sales. That’s why the delay in pre-orders to the general public. October 31, 2018 is when pre-orders will open to the general public. You’ll find the sales page for it here on this website as a blog post, so be sure to check this blog on October 31. Sales info is not going to be on the website main page or anywhere else except as a blog post, because I will be out of town for the two weeks prior, and so the sale opens by a scheduled blog post. November Delivery to “V.I.P.” To those who have supported me in the past, delivery of your decks come first. You’re going to get them some time in November, but hey look, if it’s an international shipment for you, I can’t guarantee what’s going to happen at customs, so there’s that to consider. But on my end, yeah, shipment happens way ahead of the general public pre-orders. Psst…in other words, if you’ve got a social media platform, you basically have at least a whole week maybe more to post content about the deck well before the general public of pre-orders even receives theirs. December 21, 2018 Launch The general public who has pre-ordered the deck will receive delivery on or before the winter solstice. This will also be the official launch date for the deck, and general sales will open. For those who order the Premium Package, delivery of everything beyond just the deck itself happens on this date. Okay, But How Much $$$? Just the deck (and the teensy 80-page LWB tucked inside the box) will be $55 USD. Domestic U.S. mainland-only addresses receive free shipping, so it’s a flat payment of $55. No additional charges for shipping. We will definitely be fulfilling international orders, but still need to work out the logistics for shipping cost, so I don’t have any solid information on that front at the moment. Then there will be the Premium Package. That’s the deck, The Book of Maps in digital file only (it’s a 400+ page book; read more about it here), and also an online course in the form of a video series. You’ll get the private, unlisted links to the YouTube uploads. The Premium Package is $65 USD. Again, no addition of shipping costs for U.S. mainland addresses, but details forthcoming for international orders. I’m releasing the costs ahead of ordering so that those who want the deck but may need to plan ahead financially can do so. All 1,000 decks in this First Edition first print run are sold directly from me to you, passing from my hands to yours. You won’t be able to find these in stores, at other retailers, through online distributors, no. It’s me to you. That’s it. And that’s how I like it. Each and every single of the 1,000 decks will be personally anointed with holy oil that I crafted, by me, and the decks come consecrated. (Like pre-washed veggies!) I will consecrate the decks, albeit over the plastic shrinkwrap packaging, so there’s that. I’m not going to open the shrinkwrap, so whether you want to then consecrate the cards again yourself, that’s up to you. I do not do batch-consecration. In other words, each deck is held in my palms, one by one, anointed with holy oil one by one, and prayed over for consecration, one by one. Each deck comes numbered and with a Certificate of Authenticity that bears my original signature (meaning it is not printed; I will hand-sign each card one by one with consecrated ink). There’s the running e-mail list I already have that’s the accumulation of contacts for every one who has ever ordered something from me in the past, since 2014, but that’s the only “mailing list” I have. However, I’ve provided the schedule above and if there are any changes to it, will let you know asap via this blog, so stay tuned. =) If you want to make sure you get a copy of the deck before it’s sold out, following this blog is your best bet. Oh, my Instagram or Twitter is also good for immediate updates, too. 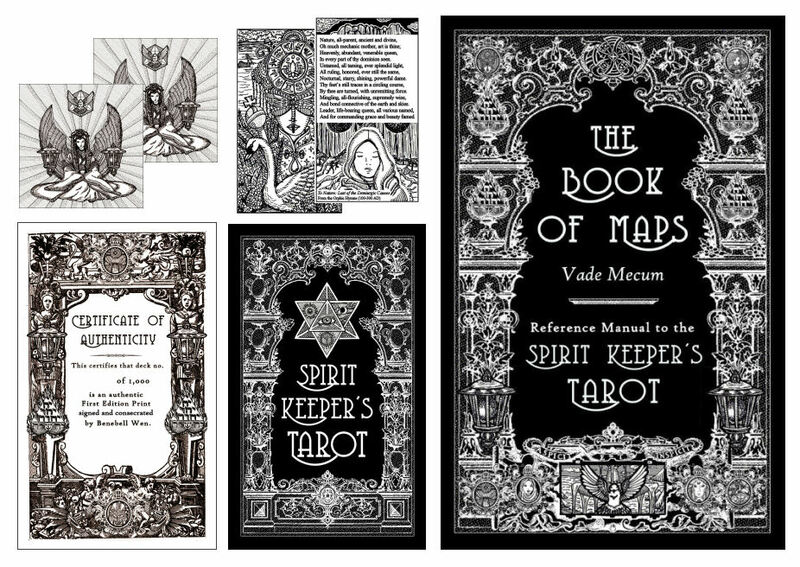 It’s going to be a Majors only activity book — coloring plus other — and if I complete it before winter solstice, it’s just going to come free (digital PDF, formatted for Lulu printing) with the orders. If I complete it later, then I’ll just send it to everyone post-facto. =) It won’t be separately for sale. Aaaaaah, I’m so excited – both for you for releasing your creative baby into the real world and for myself because I definitely want to get my hands on this. The gold is going to look stunning with the black and white art. I’m so very excited for this. I obviously can’t put the gif of the screaming guy here. But OMG! OMG! I’m so excited. There will be ordering to be done. I’m doing the jumping up and down thing. A friend of mine was like, but there’s no colour. I said, EXACTLY. She then just rolled her eyes. I am loved, Lol. So excited for you! It will be a little tough since I start going to nursing school on October 1st, but I already started putting away a few Euros here and there. The premium package will be my “new chapter in life”-gift for myself!!! And it will be totally worth it (I swear, all the crazy positive changes this year happened because of my Fu and I Ching candle work) as with all of your work! As usual (which makes it no less of an achievement or spectacular!) you’ve gone above and beyond – and I’m SO EXCITED to get my hands on one! 😀 I’ll be eagerly awaiting the pre-order email, yay! ❤ Also, I hope your trip is safe and wonderful. This looks amazing! Congratulations. (Hoping I’ll be able to snap up a copy!) Your work has such depth and polish on every single project that you tackle. I am so excited!! For both this and my first ever metaphysical planner. I am (strangely) kind of glad that the Book of Maps is coming in digital file format rather than as a physical book — shipping to Canada has gotten so expensive that a huge book would I fear really increase the price, whereas Lulu’s been reasonable for me. Can’t wait to order the first day I can! Love my metaphysical planner! If you guys don’t have one yet, what are you waiting for?!?!?! 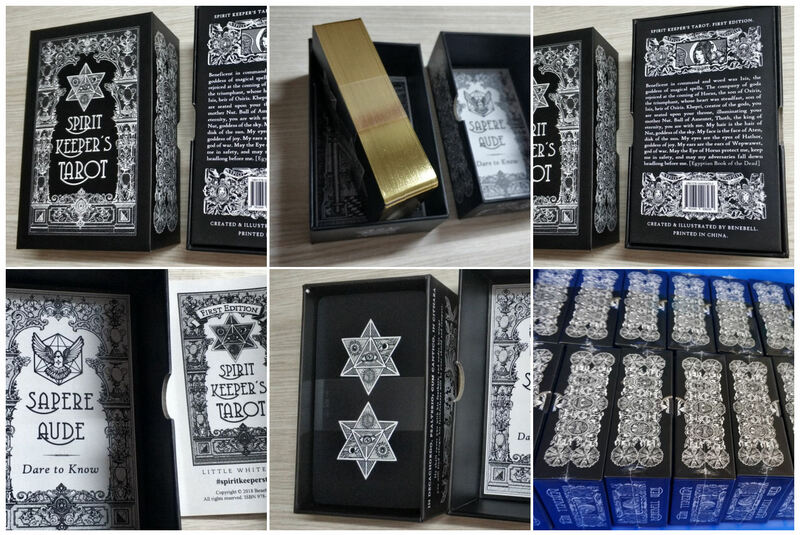 So have been checking the blog for the 10.31 pre-order of the Spirit Keeper’s Tarot, but am not finding anything. Am I missing something?